There’s a simple question every founder of a SaaS company should ask when looking at their sales and marketing efforts. Is a customer worth more than what it costs to sell to them? The LTV:CAC ratio is a tool to measure the efficiency of the crucial part of the business: the sales and marketing funnel. 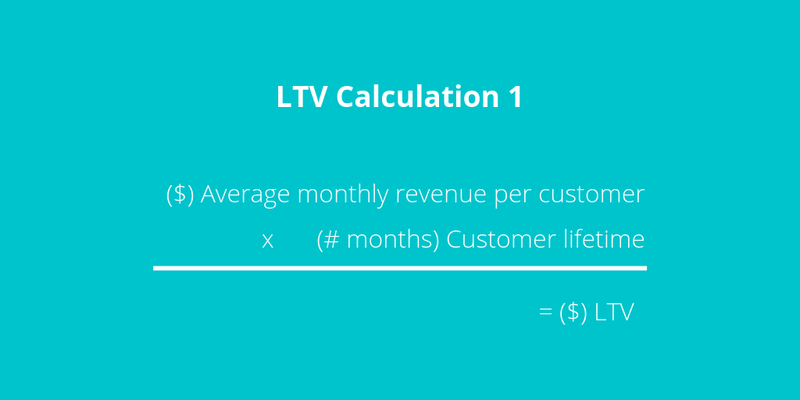 The LTV:CAC ratio measures the relationship between the lifetime value of a customer and the cost of acquiring that customer. It is a particularly crucial metric for SaaS companies. The ratio is divided into two components: customer lifetime value and customer acquisition cost. 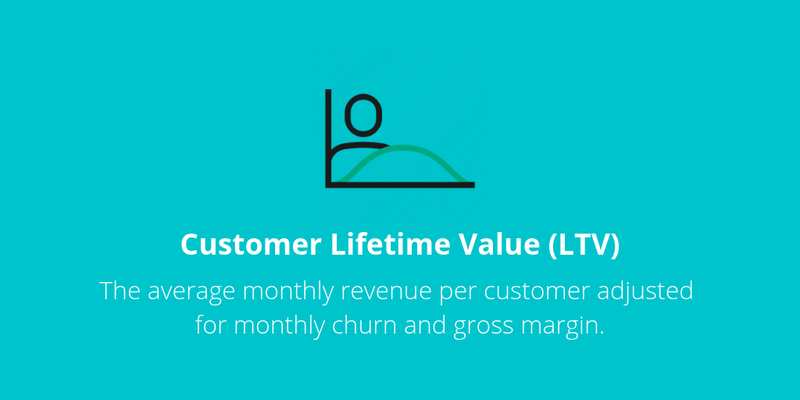 Customer Lifetime Value indicates how long a the average customer sticks with you before they cancel their service. The longer a customer sticks around, the more valuable they are. 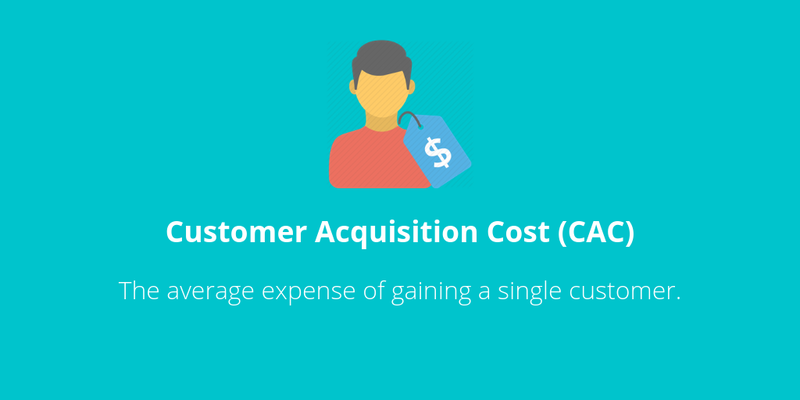 Customer Acquisition Cost lets you know how much it costs you to acquire a new customer. Most of the time, it costs more to acquire a new customer than to keep an existing one. 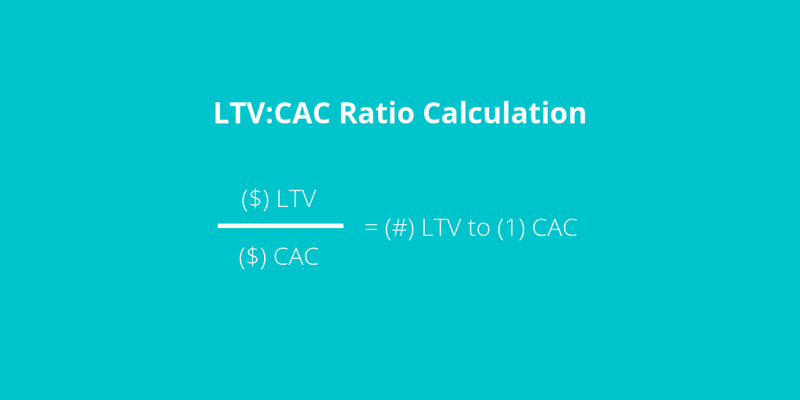 How to Calculate LTV:CAC Ratio? The average lifetime value of your customer is the average monthly revenue per customer adjusted for monthly churn and gross margin. This value can be calculated in two ways. The cost of acquiring a customer is the sum of all marketing and sales expenses over a given period divided by the number of new customers added during that same period. 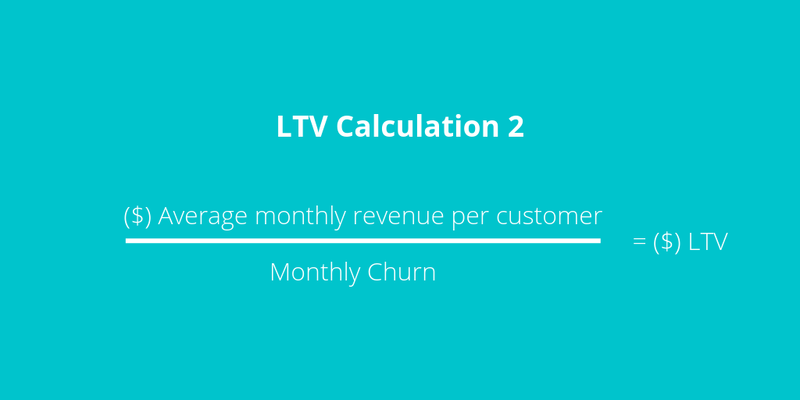 Once you have LTV and CAC calculated individually, simply divide LTV by CAC. If your company’s LTV is $3,000 and the total cost of acquiring a customer is $1,000, then your LTV:CAC ratio is 3:1. What is an Ideal LTV:CAC Ratio? For growing SaaS businesses, they should aim for a ratio of 3:1 or higher, since a higher ratio indicates a higher sales and marketing ROI. However, keep in mind that if your ratio is too high, it is likely you are under-spending and are restraining growth. Unfortunately, calculating the LTV:CAC ratio will not be useful when you are just starting the business. Instead, the ratio will only be meaningful and reliable when your business has adopted a growth process that is both repeatable and scalable. 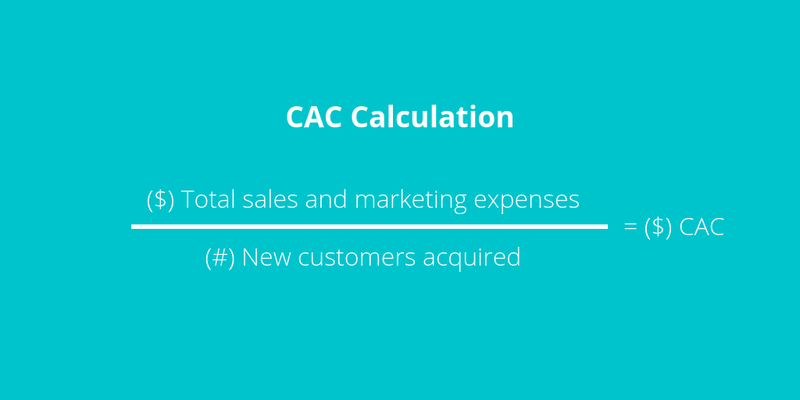 As with any metric, you should use the LTV:CAC ratio for making business decisions. 1. Which size/type of customer is most efficient to acquire? 2. 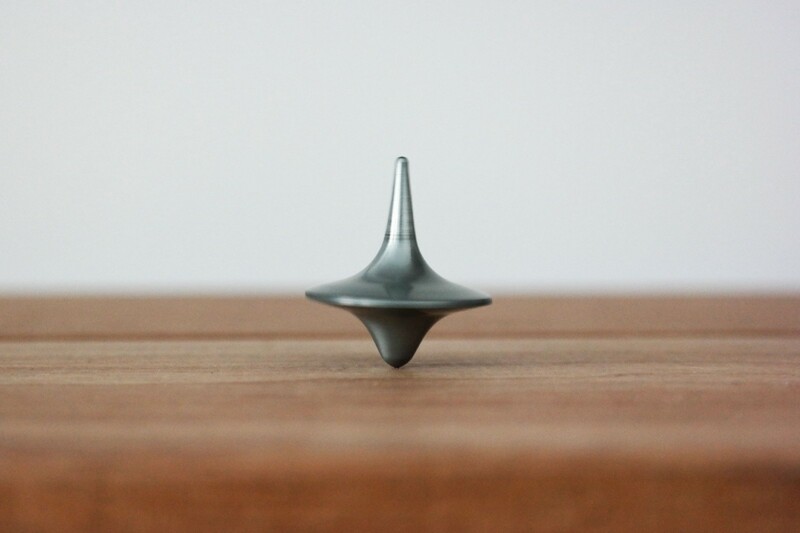 How much can I spend to acquire a given type of customer? 3. How many sales reps should I hire? 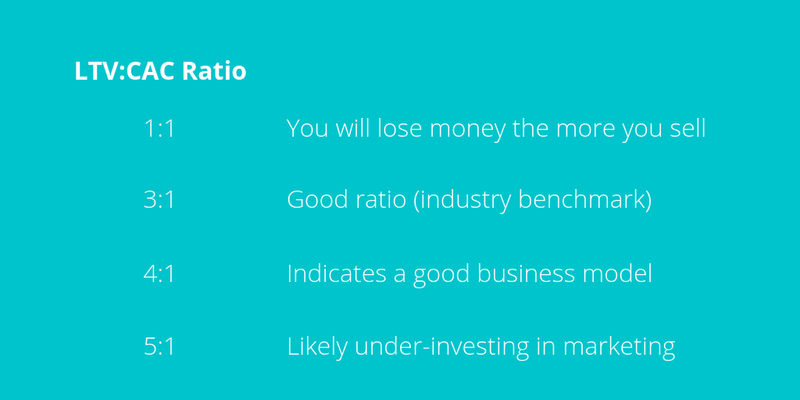 When using the LTV:CAC ratio with investors, use it as a tool to demonstrate your understanding of the underlying unit economics of your business and how that ties into your future plans for growth post-funding. Scared of pitching to venture capitalists? Us too. Find out how we offer funding to startups and small businesses.